Adults and children alike are fascinated by toys that can be played in the water and do not break easily. 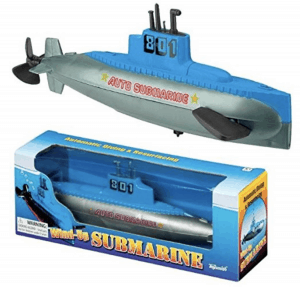 That is why a toy submarine is one of the most popular options when it comes to gift giving. They are fun, cute, super enjoyable, and so much more! But, get your hands on the worst submarine toy on the planet and for sure the fun is spoiled. That is why we wrote this article to guide you in choosing a toy submarine. We listed here all the things you need to know before buying a mini submarine. Also, we have included a list of the best toy submarines in the market. 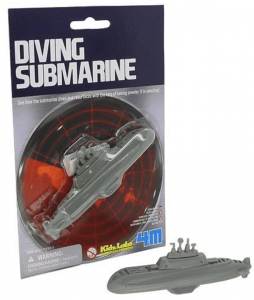 Hopefully, you will learn something from this guide and it will help you narrow down your search for the best toy submarine. When you introduce this toy to your kid, he or she might ask you this. For sure, you want to be ready before your kid starts shooting you with tons of questions. A submarine is a watercraft that is capable of independent operation underwater. Commonly, the term ‘submarine’ refers to a large, crewed vessel. By naval tradition, the submarine evolved as a short form of ‘submarine boat’. Some people simply call it a sub. Regardless of their size, the submarines are usually referred to as ‘boats’ rather than ‘ships’. 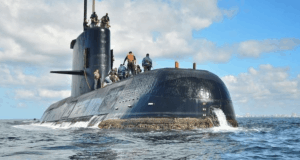 Submarines are different from submersibles although it may be used to technically describe a craft that operates underwater. This watercraft was first widely utilized during the World War I. The military uses for submarines were for attacking the enemies’ surface ships, other submarines, aircraft carrier protection and many more. Meanwhile, the civilian uses for subs include marine science, salvage, exploration and for inspection and maintenance of facilities. Also, submarine can be modified to do more specialized functions like search-and-rescue missions. Submarines are useful to repair undersea cables. These underwater crafts can be used in tourism, as well as, undersea archaeology. As we have mentioned, there is a difference between a submarine and a submersible. We will discuss it here in this section as briefly as possible. The term ‘submersible’ is often used to differentiate from other underwater vessels known as submarines. A submersible is a small vehicle that was designed to operate underwater. But unlike a submarine, a submersible is not an autonomous vessel. Submersibles are not capable of renewing its own power. It is also not able to breathe its own air. Unlike submarines, a submersible needs to be supported by a surface vessel, platform or a shore team. Sometimes, a submersible is supported by a larger submarine. You can describe a submarine as a submersible but you cannot call a submersible a submarine. That’s all! 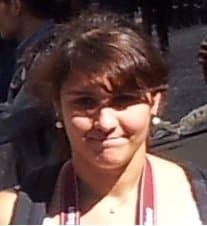 Since you are already here. 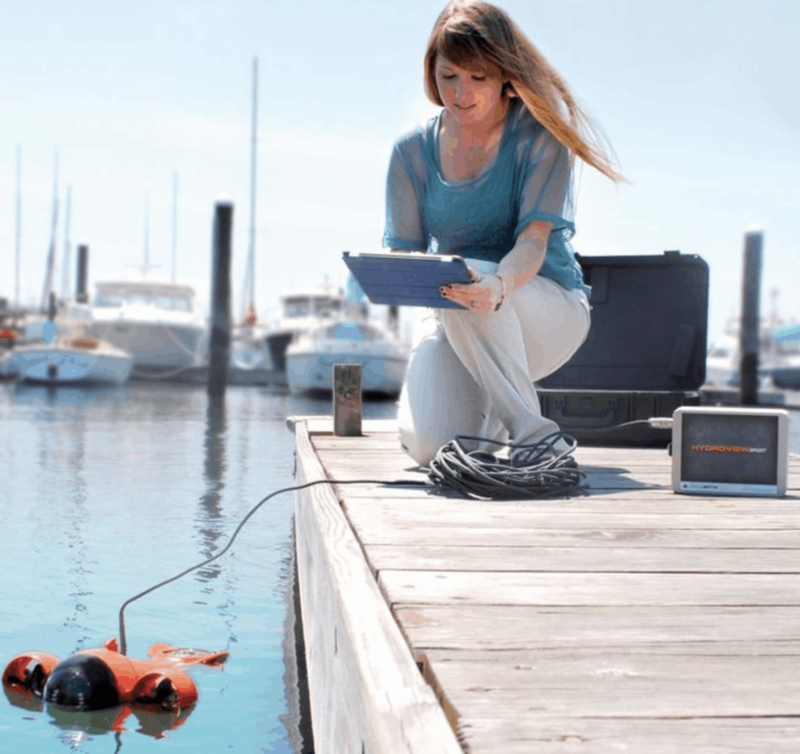 You might find yourself buying a remote control submarine. It is a toy submarine so why not discuss about it here. You need to know even just a little information about remote control submarines. A remote control submarine is a ship that can float on the surface and can also dive into the water, and then make its way back to the surface again. 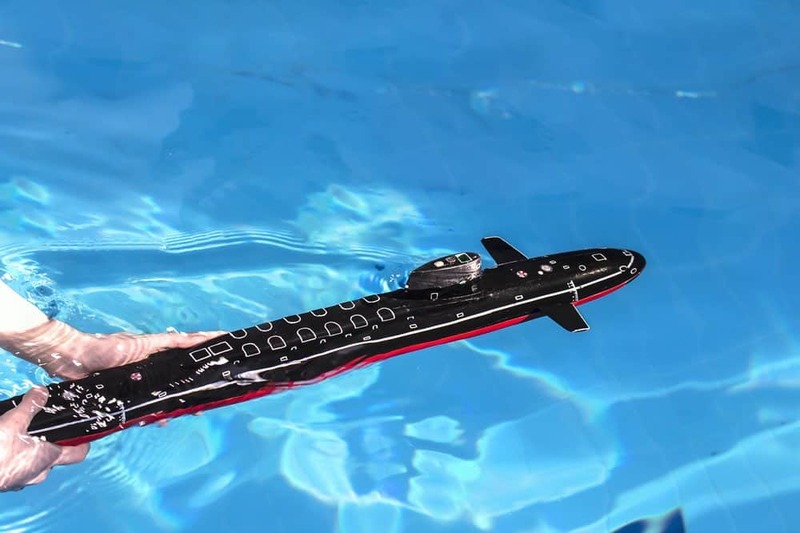 Remote control submarines are great toys for kids and grownups alike. In case you do not know, remote control submarines come in two types. There is static diving and dynamic diving. The difference is not that complicated at all. You will know your remote control submarine is a static one, if it has a ballast system. On the other hand, if it doesn’t have a ballast system, then your remote control submarine is a dynamic one. Why Play with Toy Submarine? It has been scientifically proven that play is good for a child’s brain. It teaches your child to use their imaginations. Plus, it helps them in problem-solving. According to the American Academy of Pediatrics, play is a important in a child’s development. Playing contributes to the cognitive, physical, social, and emotional well-being of a child and even the youth. Toy submarines are not just for kids. They can be enjoyed by adults too. But, why would you let a child play with a submarine toy? It’s simple. Submarine toys can suspend underwater longer than we can hold our breaths. Isn’t that something we all want? To spend our hours underwater, to explore and see the wonders down there. There are so many things you and your child can do a toy submarine. Toy submarines can provide children with cognitive ability and hands-on ability, and can stimulate your children’s imagination. A toy submarine comes handy to parents who want to keep their children entertained while learning tons of things. Submarine toys are so helpful especially when bath time comes. You or your kid can bring the toy submarine to the beach or the pool. Or, you can even play with it in the pond nearby. But, what if it’s not possible to play outside? Toy submarine saves the day when it’s pouring hard outside or when the snow’s too thick. 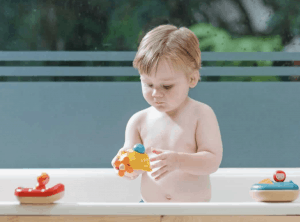 Because, you can let your child play with the toy submarine in your tub or sink. It is just so convenient. And if the submarine toy isn’t for your child but for the child in you. You can have it on displayed along with your other collections, too! Toy submarines are important among collectors. When buying a toy submarine, there are some factors you need to consider. You have to decide first. 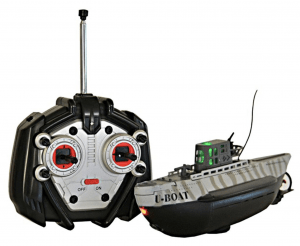 Do you want a remote control submarine, a non-RC submarine, or something that you want to add to your collection? If you are going to give the toy submarine to a child, you also need to consider his or her age. Some toy submarines are not safe for toddlers. The toy submarine that you might give might contain parts that can choke the child. But if you want a remote control submarine, we have written an article about it. You might want to consider reading later it since it is a detailed guide for buying a remote control submarine. In the meantime, here are the basic things you need to watch out for when buying a toy submarine. First of all, you need to make sure that the toy submarine you buy is safe for your kid. Safety is very important when buying any toy for kids. Submarine toys for kids should be well-made and age-appropriate. This will ensure that your child is being offered with the best developmental opportunities. Also, as a parent, you can have a peace of mind knowing that the submarine toy you give your child is safe. You also need to consider the shape of the toy submarine. Does your kid want the traditional style of body shape of the submarine? Or does your child prefer something that is newer or more unusual? When choosing a submarine toy, go with the one which your child could relate the most. The next thing that you need to consider is the battery life of your toy submarine. Some toy submarines have a battery life that can last for hours of usage. There are also submarine toys that have a running time that is shorter. You need to take into consideration whether your child gets bored so easily or not. If your toy submarine requires battery, you have to make sure that the battery life can keep up with your child. It would be great to hand them something that they can play for a long time. In other words, choose a toy submarine that has a battery life that can match your child’s play style. You also need to check the durability of the toy submarine. First of all, the mini submarine’s body must be manufactured from high quality and durable materials. The durability of the materials used in your child’s toy submarine ensures that it can endure regular usage underwater. Also, try to check if the toy submarine’s manufacturer can offer you its services for longer periods. You should also consider other cool features of a mini submarine. There are toy submarines with cameras. Your kid can become like underwater spies. Some submarine toys have feeder arms that they can fill with food and lure fishes. The latest toy submarines have a variety of amazing features that you can choose from. Choosing an awesome toy submarine with features that match your kid’s interest will most likely increase the odds of him or her playing with it longer. Most probably, the safest way to buy a toy submarine is through a manufacturer’s website or store. However, most of the manufacturers are based in China. Buying directly from them may cost you and expensive shipping fee in your area. Also, it could take weeks or a month for you to receive your item. And another thing is that, you might be required to buy in bulk or reach a certain number of orders. This would be impractical if you have no plans of reselling them. For some, the retail stores are great options but there are other people who find it a bit tiring. Sales people will come to you and offer you many sorts of things other than product you intend to buy. Fortunately, online stores sell all kinds of items. You can even find reviews left by actual persons who actually purchased and used the product. Visiting online stores is somehow a more practical, and convenient means of buying a remote control submarine. 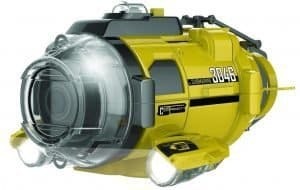 We have here some of the top rated toy submarines online. Hopefully, this can help you narrow down your search. This mini-sized remote control submarine can definitely dive into the water. It has a cool and exquisite look that gives you feelings of owning a real submarine. This toy submarine is great for gifting. The Electric Toy Submarine is educational. This toy submarine can exercise a child’s hand-eye coordination. It enhances their agility whenever they are using the remote control of the toy submarine. It can reach the toy submarine underwater about five meters. For the working time, it is between 15 to 20 minutes. It has buttons that control the toy submarine forward or backward, turn left or right, and dive or float upward. To let this toy submarine dive, you have to make sure to hold the head of the submarine and place the rear into the water. And then, you can release the toy submarine into the water completely and let it float. This submarine toy comes with a built-in batter and a USB charging cable. It is very convenient to charge via the USB port. The controller’s battery needs for AA Batteries which is not included in the package. This toy submarine is suitable for children above 8 years old. -You need to keep this submarine toy away from children under 3 years old because it contains small parts. This can be really dangerous if swallowed. -This toy submarine can only be used in domestic cold fish tanks or small ponds. It is not suitable for marine fish tanks. -Ensure that the waterproof switch cap on the toy submarine is completely closed before using and placing it into the water. -For a smooth operation, religiously follow the operating instructions for this toy submarine. -After using, open the safety cap to turn off the toy submarine. This toy submarine is recommended for toddlers. 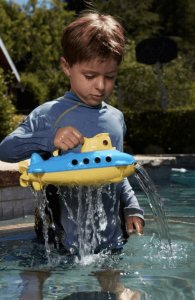 Now, with this submarine toy, toddlers can enjoy pool parties. This fascinating toy submarine is created by Green Toys. It is made with 100% recycled plastic milk jugs. Not only is this toy submarine safe for your toddler but, it is also safe for the earth. This yellow colored, pool watercraft is a BPA Free, Phthalate Free and PVC safe. It also conforms to FDA standards so you are sure that your child can stay safe even if they are licking it. 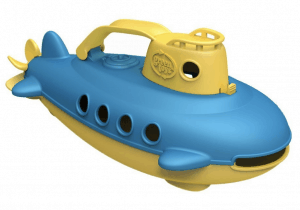 This toy submarine by Green Toys features a spinning rear propeller. It also has a flat bottom to give it more stability to this toy submarine. This toy can be played outdoors or indoors. It also has a classic handle that would maintain a child’s strong grip. Your little tot will have so much fun scooping and pouring water out of it through its wide mouth opening. This toy submarine will help your toddlers or children explore the terrain at the bottom of their tub. It is definitely a fun toy that will also help them enjoy their nautical journey. This mini submarine can be cleaned at your own convenience. The cabin of this toy submarine can be opened so you can easily clean it. You can also toss it in the dishwasher. Green Toys made sure that this toy submarine is dishwasher safe. You can also clean it using baby soap or baby shampoo. This toy submarine by Green Toys highlights a rear propeller that spins. You can find that it has a flat bottom for stability. It features a classic handle that can help your child maintain a strong grip that may also help in improving their pincer grip. This toy submarine floats great in the bathtub and pool. So your kids can play with it indoors when they are not allowed to play outside. This product is a wind up bath time toy submarine. It features a long lasting sealed gears. This toy submarine was designed to dive and resurface. It is recommended for children ages five and up. Its operation is very simple since it just a wind up toy. Some users find it easier to wind it up under the water. You can just release it right away. If you let go of the wind up key outside of the water, its propeller will keep spinning. Before you know it, it is done spinning right before you can get it to the water. This toy submarine has front fins that toggle up and down on their own. It makes it appear as though the toy submarine is surfacing and then diving. Definitely, this is a really awesome effect for your little ones. This toy submarine is a classic! It is something that everyone in the family will enjoy. You will experience hours of fun with it underwater, it’s made of sturdy plastic material so it won’t break easily. It is powered by an ordinary, household baking powder (which is not included in the package.) By using baking powder, this submarine can surface and dive, over and over again. A user left a review on Amazon and said this toy submarine works as advertised. If it does not work for you, you can do a slight modification of its instructions. The manual that comes with this toy submarine will tell you to shake it under water after loading the baking powder. But you can also try setting it into the water without shaking it. See if it works just fine. Do remember that a fresh baking powder is to be used, not a baking soda. You will see that this toy submarine is really cool. 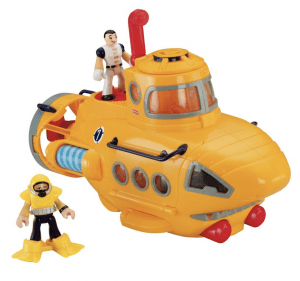 The Imaginext toy submarine comes with two figures, one helmet, and a pair of fins. 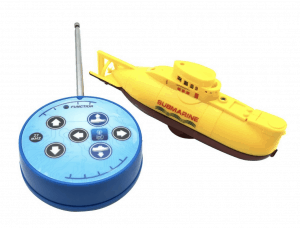 This toy submarine features one activation disk. To launch the two research probes, all you need turn the disk. To enjoy this fantastic toy submarine, you can open the door to the submarine. You may put in a figure and use the periscope to move it up or down. Watch the turbines spine as you roll this toy submarine along. Also, this toy submarine features open doors, closed doors and adjustable seating. This toy submarine will definitely enhance your child’s imagination. Children can just open and close the hatch. They can also roll the toy submarine. Basically, it is all up to them to decide what happens next. They can raise the periscope to see those fins. Kids can turn the captain figure to launch an underwater exploration and see what creatures they can find. It is definitely a whole new adventure each time kids play with this toy submarine. We hope you learned something from this article. Just a few words before we bid goodbye. Remember the factors that you need to consider when you buy a toy submarine. So, have you decided if it is going to be a remote control submarine, a wind up toy submarine, or just something for your submarine collectibles? Is it for a child? What age? Remember that you need to check the parts of the toy submarine if you are going to give it to a child, especially to a toddler! Check if the features of the toy submarine suits the child’s playing style or your interests if it’s for you. If you are going to buy the toy submarine online, please make sure that you are not being scammed. But wherever you choose to buy your toy submarine, be careful out there!